Left at the light for Kentlands Blvd. 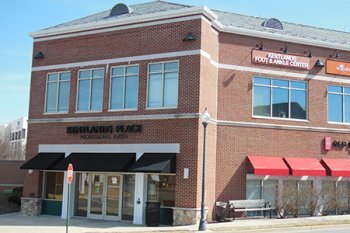 Our office is in the brick office building with Red Door Spa on the first floor. Entrance faces the Lowe's hardware building. Take exit 11 for Rt 124 Quince Orchard Rd, make a right at the end of the exit. Right at the light for Kentlands Blvd. Follow signs to the end of the ICC/I-370 West.